Apologies for the break in posting, I’ve had a lot of school exams and assessments lately ( three this week >_< ) so I've been spending the majority of my time studying or essay writing. 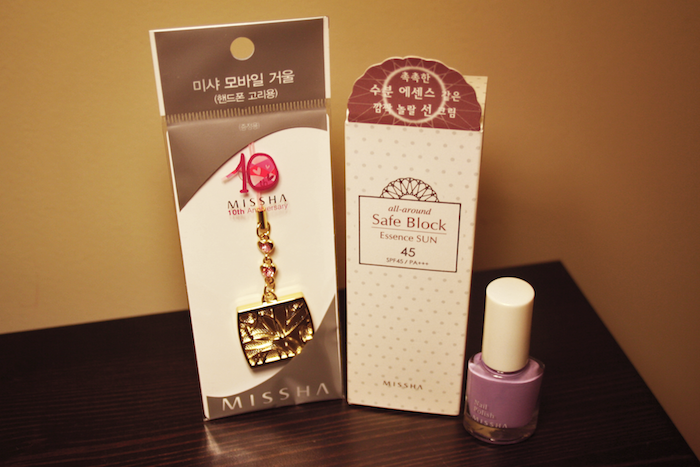 I picked up a sunblock and violet nail polish from Korean cosmetic brand MISSHA. Have you heard of them? I’d never really known about them until I visited one of their stores in the city. Being very fair, I have to be cautious when in the sun and wear an SPF moisturiser every day. 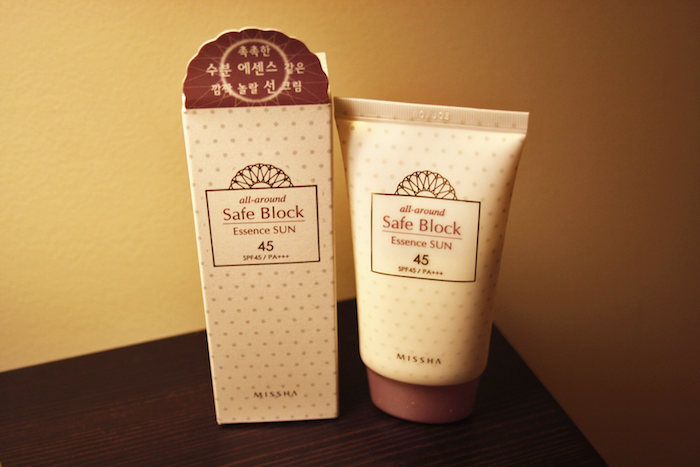 It’s rare to come across any creams over SPF 30 in Australia unless they are imported like these MISSHA products, so I was thrilled to find one that was SPF 45! (They even had an SPF 50, but I decided to start off a little lower). Do any of you use sunblock every day? EDIT: By the way, the prices are quite reasonable. The polish was $3.95 for the mini bottle and the sunblock was around $19, which is great value considering it’s a very high SPF. Oh and the little gold keychain was a freebie for the stores recent opening! Oh my god i love your blog ! great post! !xxLoa from france !